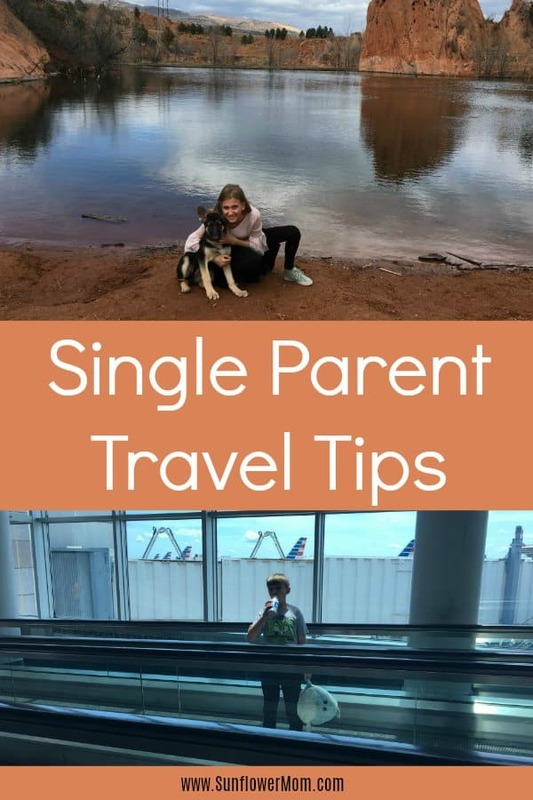 Single parent travel is not for the faint of heart. Vacations as a single parent are often more stressful for you and naturally, you transfer all that stress to your children. You get to your destination and no one is happy. 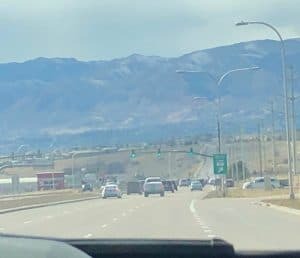 The thought of a vacation on your own with your children can be so overwhelming you may just decide on a stay-cation and call it good enough. For years, I didn’t take any vacations with my kids or if I did, it was always with a grandparent in tow. I just didn’t feel like I could handle the kids on my own. But after a while, I realized I wasn’t always enjoying myself on these vacations as much as I should. When I brought my parent along, I suddenly became a child again along with my kids. 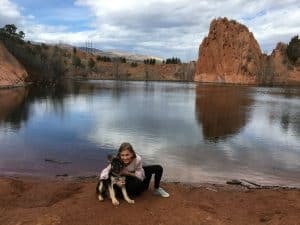 One year, I swallowed my fear and tried single parent travel. I haven’t looked back. Since then, we have taken multiple road trips, flown to the beach and rented a car, flown with 2 kids and dog, stayed in a big city while the kids hailed down cabs and learned to navigate the Metro, and every year we plan a new trip. Fear is no longer the limit. (Money or budget is the limiting factor, like most families, and that is okay). I know I can handle my kids and I can handle whatever comes along. I don’t need another adult. I can always bring one along. But I don’t need one. I’ve learned a few tips, traveling alone with kids. If you are still trying to enforce the normal TV, electronics, and nutrition rules like you do at home, you are going to get frustrated very quickly. Tell yourself beforehand you are going to be laidback and practice being a “yes” mom as much as possible. This isn’t for the kids so much as for you. When you are in a hotel room and the only parent, you have nowhere to go for a break. Let as many things go that are not life-threatening. This may seem obvious, but as someone who is always trying to save money where I can, I almost didn’t have this: AAA. My car insurance has roadside assistance so I thought I could let my AAA go. I also thought, I rarely use AAA and if I really need it I have the roadside assistance with my insurance. I was in a different state and I popped 2 tires with my children in the car. I thought my AAA membership had expired so I tried calling the roadside assistance through my insurance. It was a mess. I was in a different state and off hours, I didn’t read the fine print. It may have worked out. But I was freaked out. I was in a neighborhood I was unfamiliar with my young kids and I had no idea what to do. I called AAA, ready to pay for a new membership. Luckily I had 3 days left of my membership anyway. This sped up the process as I told them I would worry about renewal later, just get someone to tow me now! VRBOs are very popular now and for good reason. I’ve been able to find better deals that give me and my children more room and all the amenities of a home than a hotel. However, if you want the safety of a hotel, then stay at a hotel. At a VRBO, unless it says you are in a duplex (most likely hooked unto the owner’s home) then you are in a neighborhood you won’t be familiar with and with no one to go to for help. I really enjoy the freedom and privacy of a home, however, at night you don’t have the same safety feeling as a hotel. Packing. Pack light. I like these packing cubes. 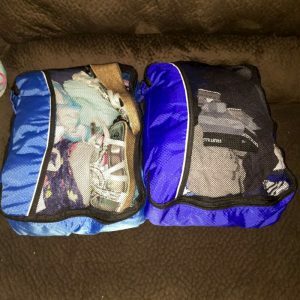 Packing cubes enabled me to pack for 2 weeks to Europe in carryons alone: for me and my children! I checked the carry-ons. But when we went to Europe especially, we had to lug our suitcases between many different trains. The kids got very tired. I often had 3 bags on my back and 2 suitcases (carry on size) I was pulling. When we went to D.C. I got all of our belongings in 2 carry-on suitcases thanks to these packing cubes. Although lugging the suitcases around wasn’t as bad as Europe, we still had the Metro to deal with and the kids just can’t maneuver luggage around. I had to do it all. We had to pack light. I put as little as possible in our carry-ons. This is because, without fail, I am the one who has to carry everyone’s carry-ons. You may think you only have one flight and you don’t want to pay the fee to check in your luggage. 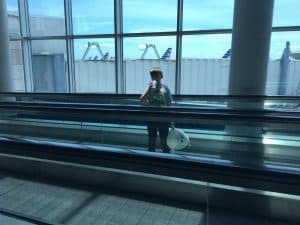 But even so, carrying your purse, your carry on and your child (or children’s) carry-ons on and off the plane, from check-in, through security, and to ground transportation is a lot. You will be cranky and that crankiness will carry over to your child. You don’t have the luxury of another parent to give you a break when that child throws a fit later. Personally, I budget in the $20 for the airline to take care of my luggage and keep my family sane. Here’s the thing. Traveling alone means you can’t leave one parent alone with the kids while the other one leaves to go get food because the kids are hungry and tired. Just budget for room service. When we stay in a hotel then our days are structured to head out early, eat breakfast and hit the tourist spots but we are always back around 3 pm. Sound early? It is. But I like to be back waaaaaay before the grouchies set in. Then I budget for room service dinner and I budget for each kid to rent one of those super expensive movies. The kids feel like royalty! And I get to have a relaxing bath and read each night. I’m telling ya, in no other single parent vacation is this possible. Whether you are going on a road trip or traveling by air, always pack snacks. For a road trip, you can easily pack the cooler and all kinds of snacks for the trip. But when traveling by air you can still pack a lot of snacks your kids are familiar with and you know they like. I pack granola bars, trail mix, nuts, etc. in my carry-ons and then whole boxes of the same type of snacks in my luggage. That way they always have a late night snack or we can easily grab those to go when we are out sight-seeing. You can’t over plan when you are traveling solo with children. I use the app AnyList to keep track of my packing list. I have a running packing list that I use every single time I go on vacation. If I’m on vacation and I realized I didn’t pack something I needed, I add to the list so I have it for next time. AnyList allows you to cross off items and delete them and reuse the same list over and over. 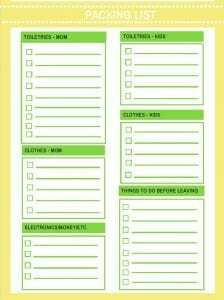 Download your own mom & kids packing list from the resource library! OMG thank you so much for sharing this post. I’m a single parent and I’m planning my first trip with my kid and at some point I just freaked out. Thank you for the inspiring post. I’m so glad you found some helpful tips! I hope you have a great time on your trip!